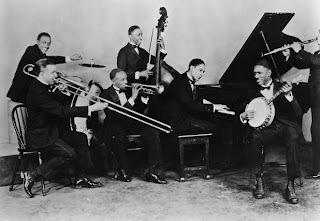 It was a great year for Ferdinand “Jelly Roll” Morton and his “Red Hot Peppers,” as these tracks amply demonstrate. These four recordings are as good as traditional New Orleans jazz ever got. “Doctor Jazz” is a rollicking good time that features a rare vocal performance by Morton. (And it’s good; he should have sung more often!) The song is filled with outstanding playing all around, but the highlight is a classic solo by clarinetist Omer Simeon where he holds a single note for an extended period, until the a sudden smack of percussion from drummer Andrew Hilaire spurs him into a proper solo. Soon after, he holds another note, and this time another smack simply changes the pitch of that held note. It is simple, yet utterly brilliant. One thing to listen for in many of the Red Hot Peppers records is the use of guitar and bass in the rhythm section instead of the more common banjo and tuba. Nowhere is this more apparent than “Grandpa’s Spells,” a dizzying free-for-all that is one of Morton’s most popular compositions. Johnny St. Cyr’s guitar steps out of the shadows here to carry the melody in places, but it is John Lindsay’s thumping bass that provides the key to this song’s success. As usual, every moment of this song is filled with top-notch playing, and Omer Simeon (clarinet), Kid Ory (trombone), George Mitchell (cornet) and Morton himself (piano) all take superb solos. But the most exciting moments all feature Lindsay’s propulsive, booming bass, either by itself or underscoring the other instruments. “Someday Sweetheart” is a much slower number, featuring a sweet melody carried first by a pair of violins. 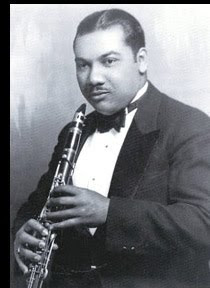 Omer Simeon then has a solo on bass clarinet that is the highlight of the song; the deep bass sound is at first unexpected and yet so completely sweet and pure that it is spellbinding. Morton follows next on piano, as all of the other instruments drop away completely. When they rejoin at the end of his solo, they do so all at once and it is almost jarring. The tempo is still slow, but otherwise this is typical Red Hot Peppers territory, and it is simultaneously sweet and hot. “The Pearls” was recorded later than the previous three songs and features a slightly different lineup. Johnny Dodds replaces Omer Simeon on clarinet, and as good as Simeon was, Dodds is an upgrade and completely runs away with this song. Also worth noting is the tuba playing of Quinn Wilson, which serves as a pivot for the song in many places. This is a complex song, and Morton arranges it beautifully, making it light as a feather.